It’s a subject I’m sure I’ll return to (and return to) but one of these micro book collections does make a passing appearance in what I was going to post about today, namely, my desk. 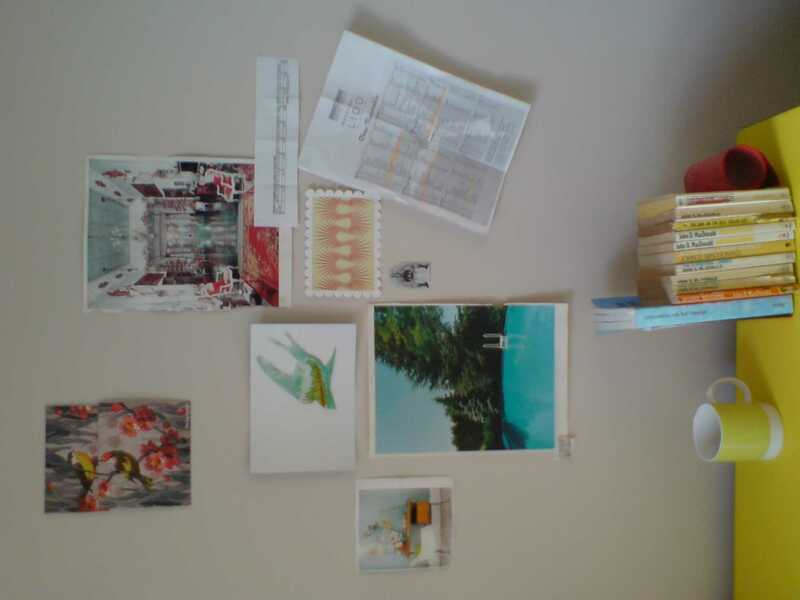 Actually on the wall on the bottom left is a pic of my fantasy set-up, with gorgeous Skandi desk, Anglepoise and chic paint chart. I tore it out of an interiors mag to inspire me. But mine will do for now.